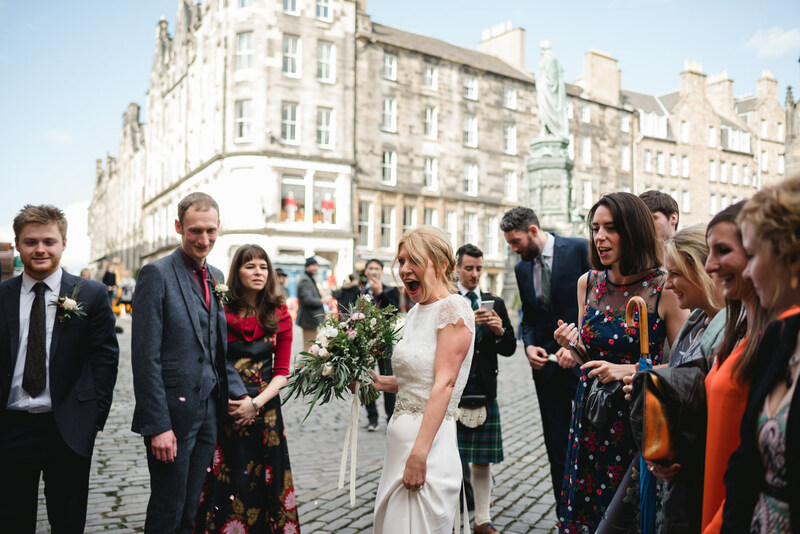 A Spring Howies Waterloo Place Wedding. 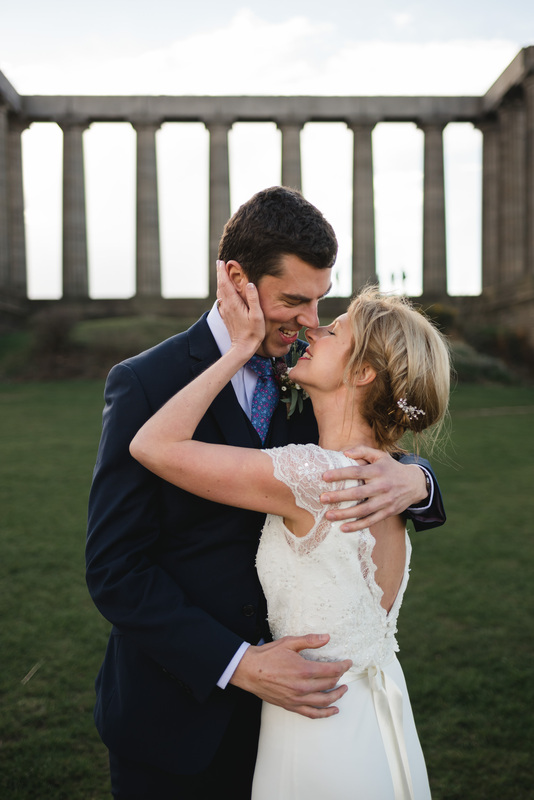 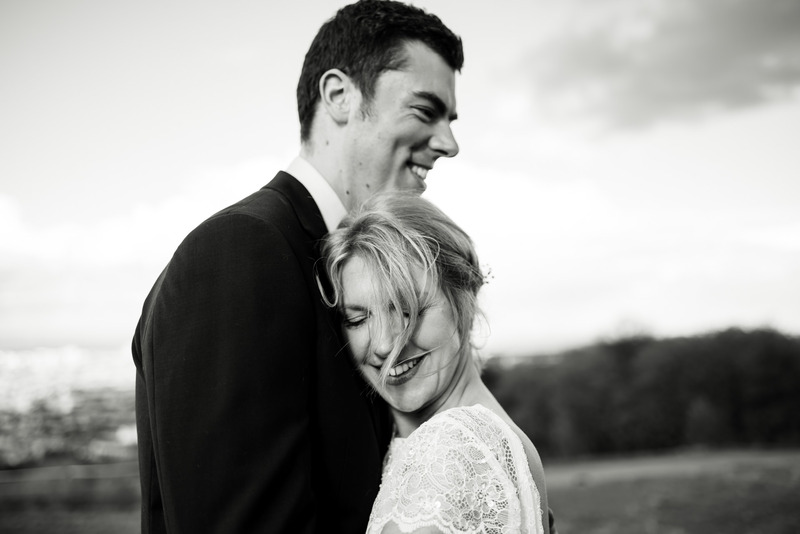 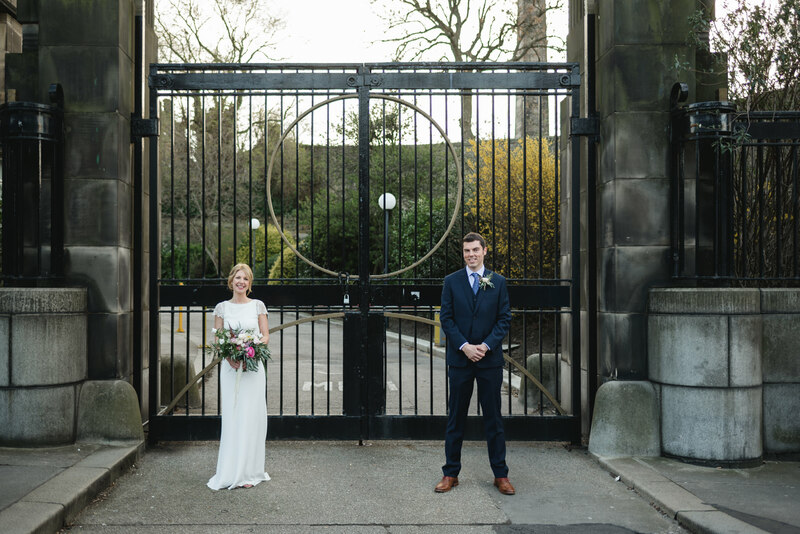 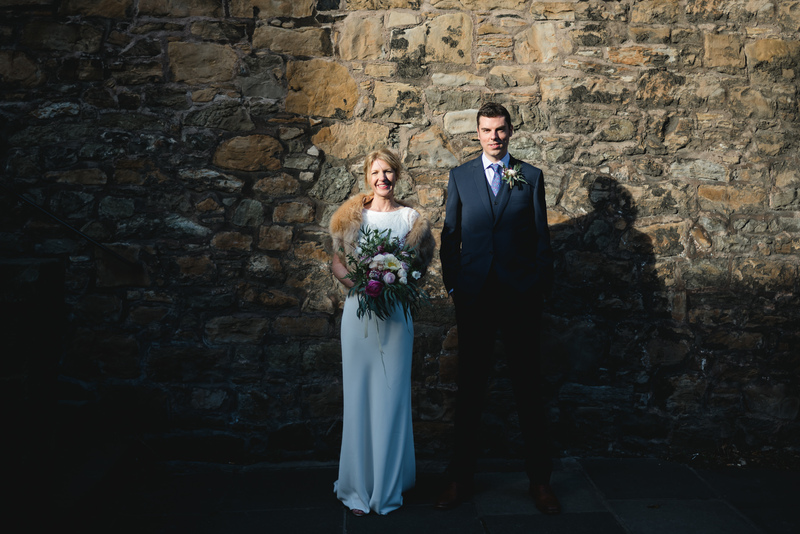 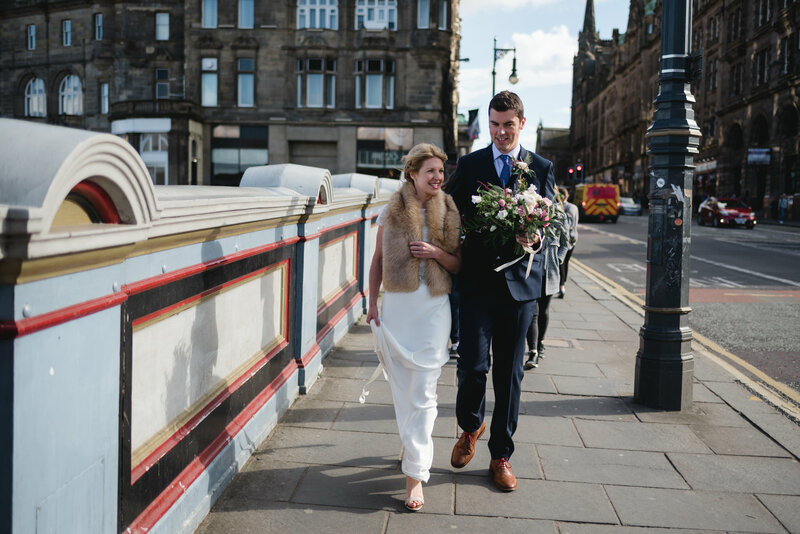 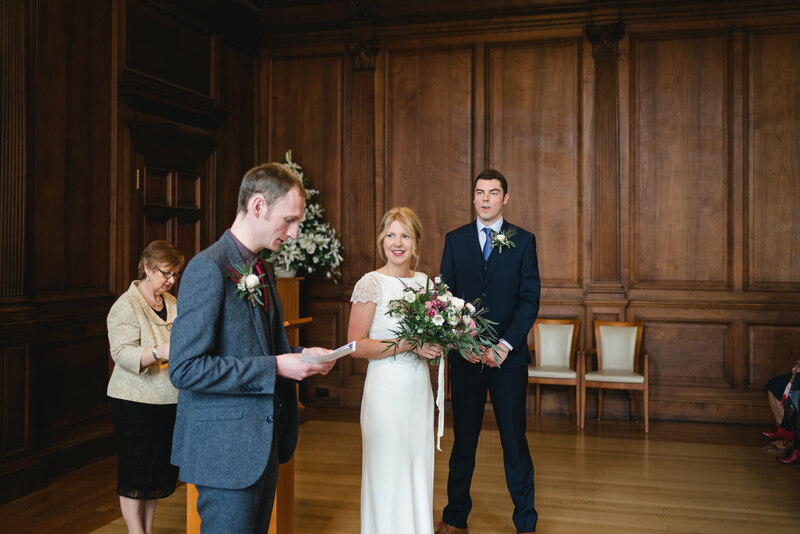 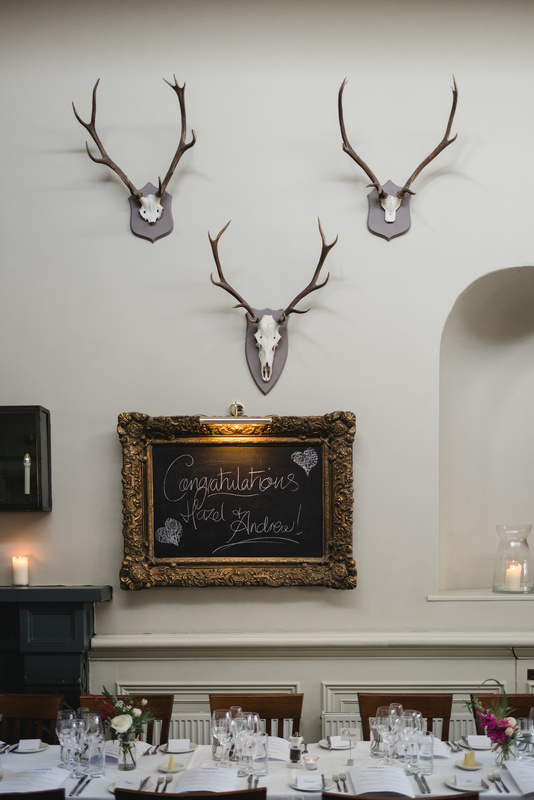 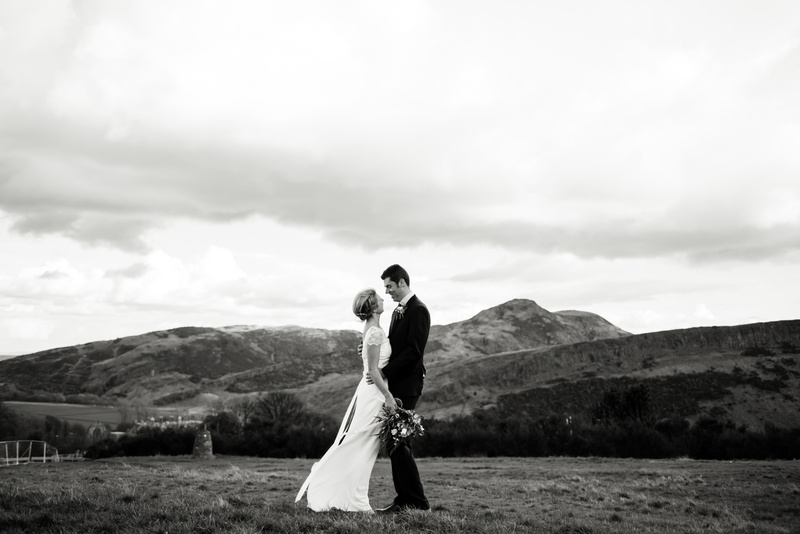 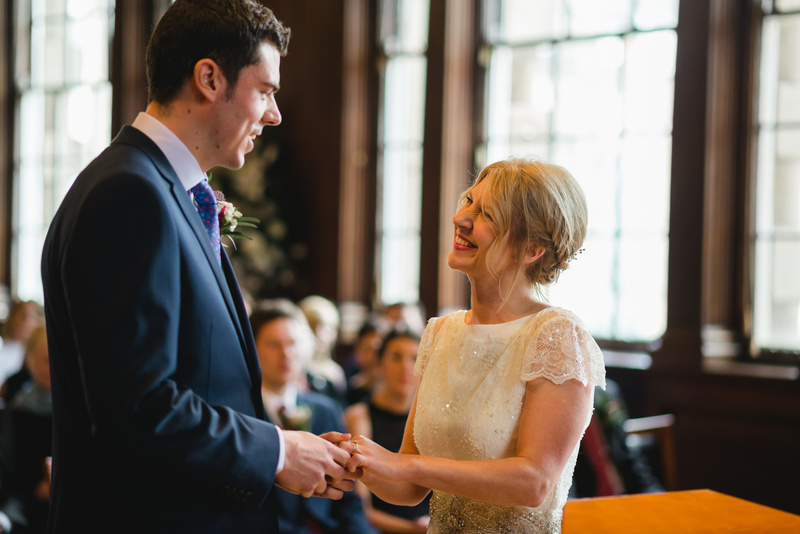 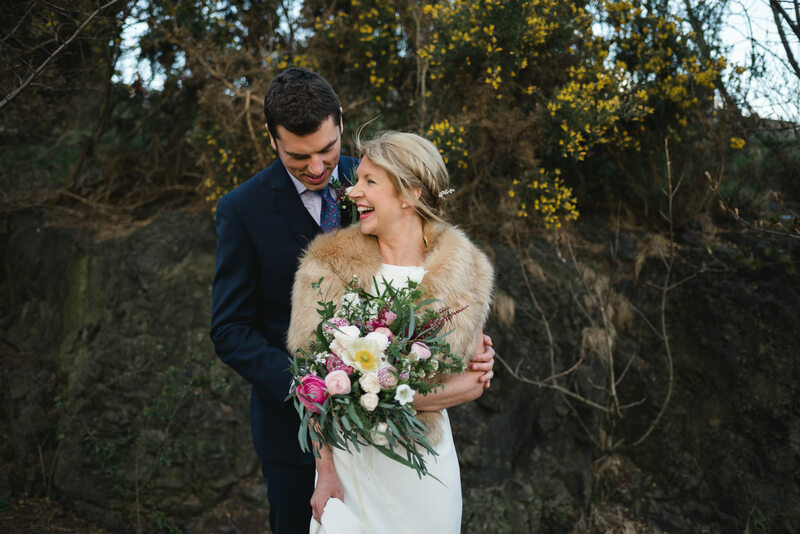 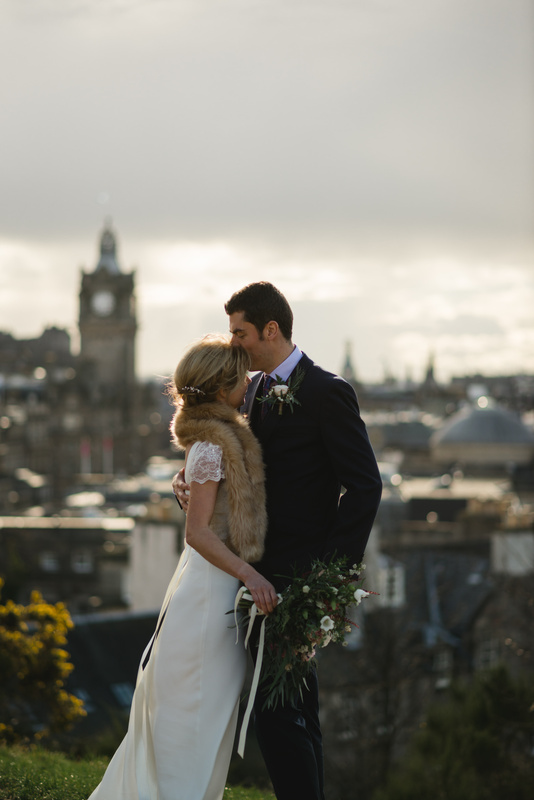 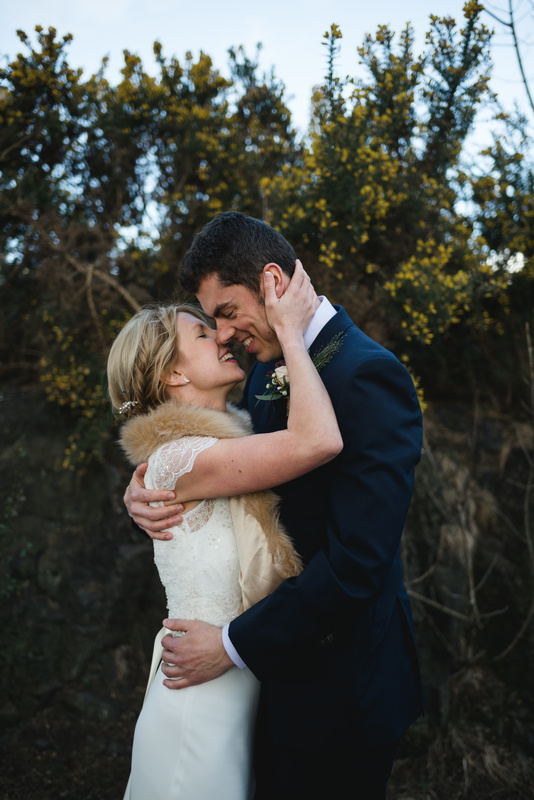 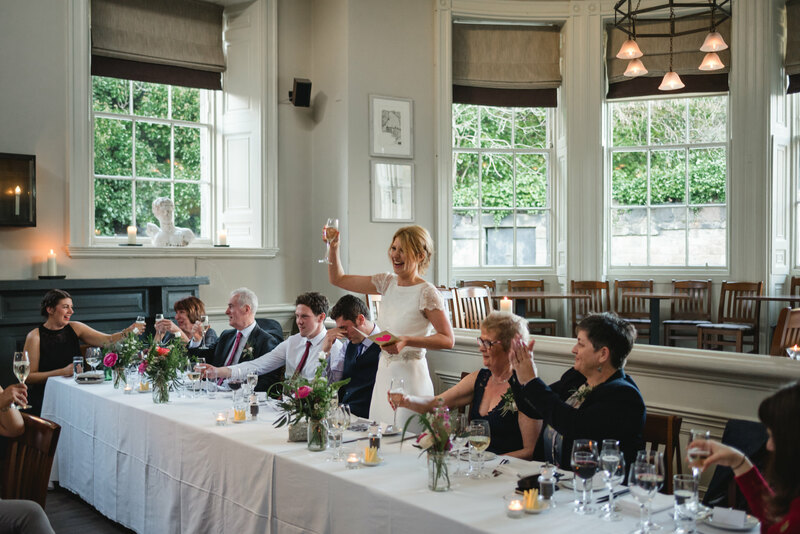 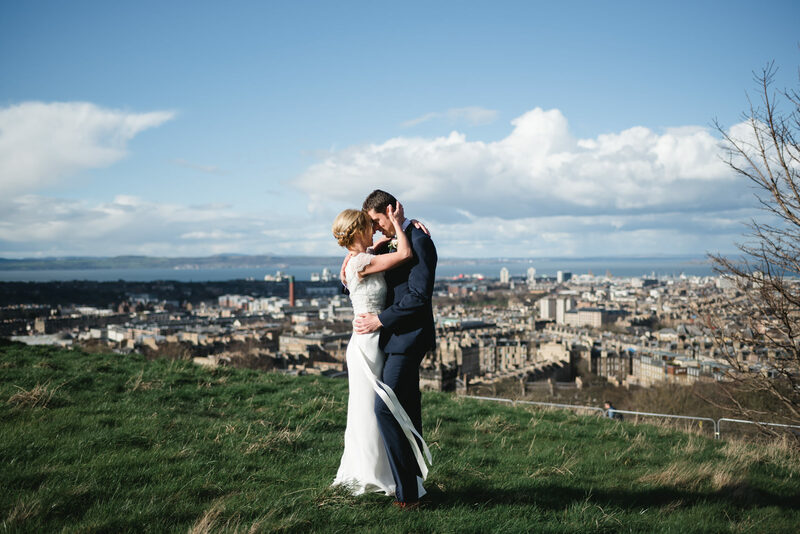 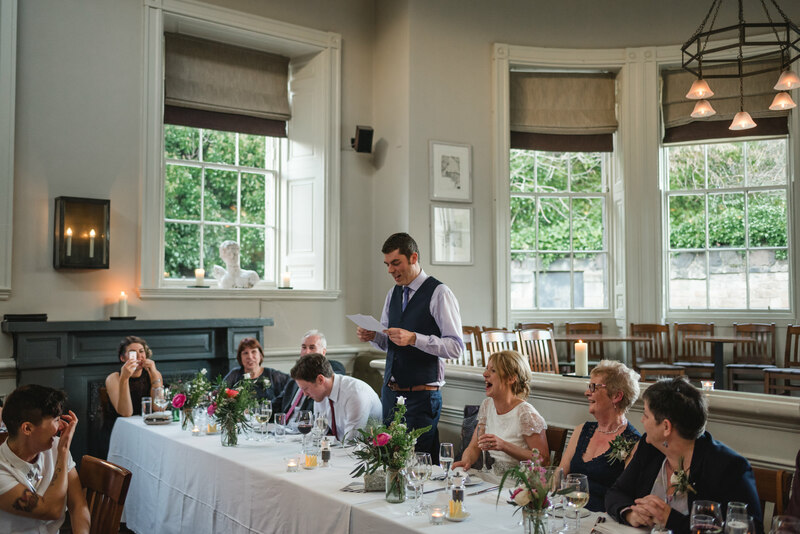 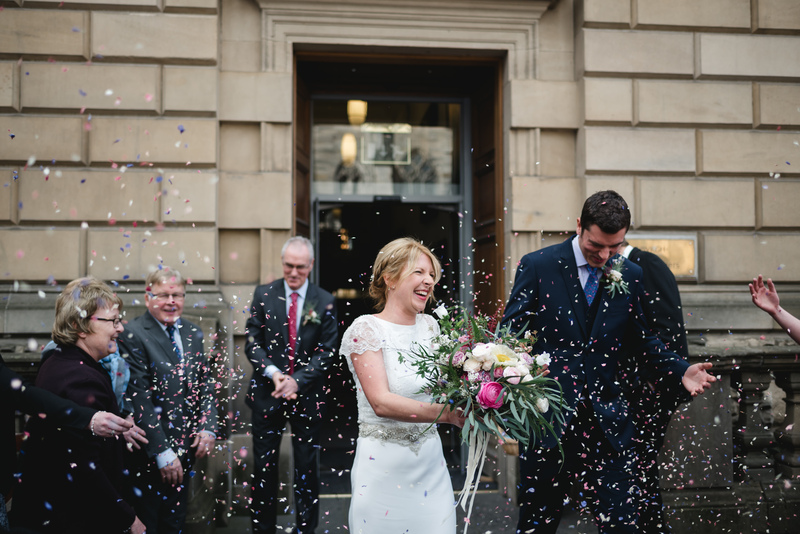 Hazel and Andrew married with amazing style at the Lothian Chambers in Edinburgh. 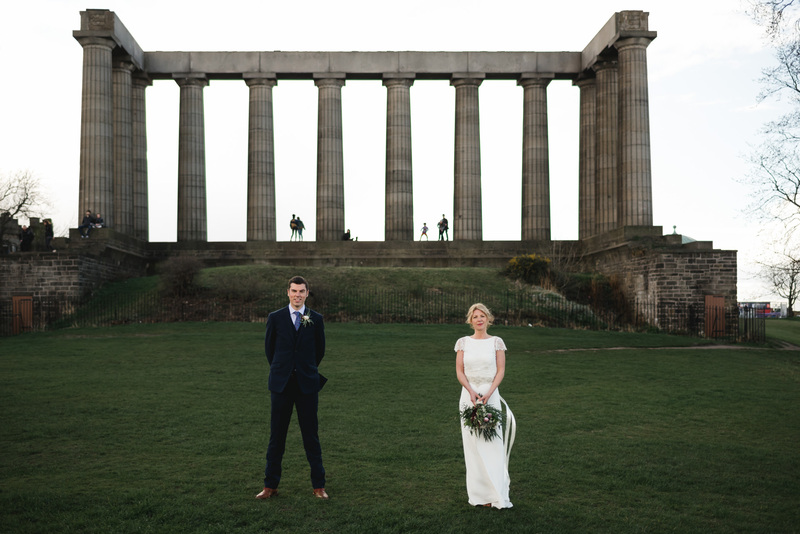 Followed on with a beautiful meal at Howies on Waterloo Place. 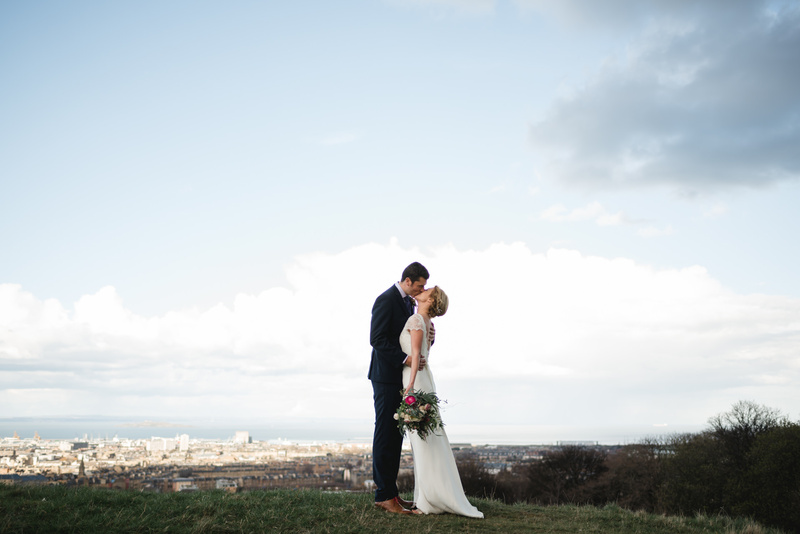 I often suggest to couples that on a wedding day we do their photographs at sunset as the light is beautiful. 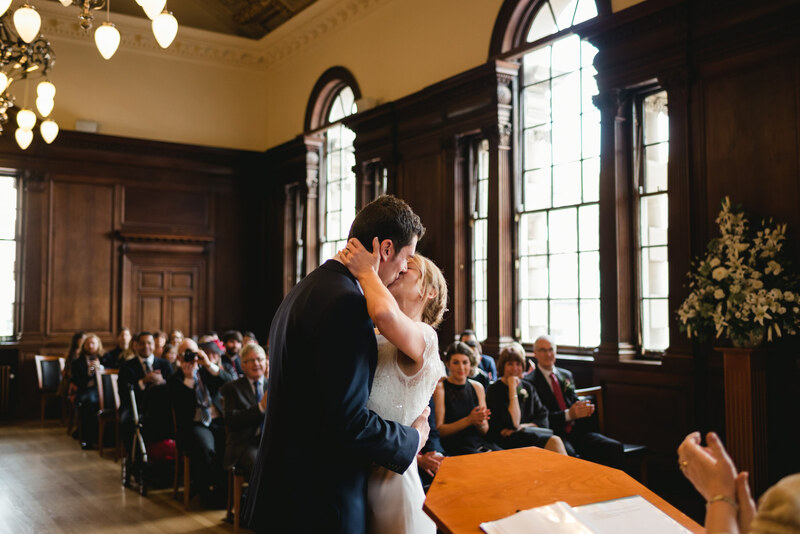 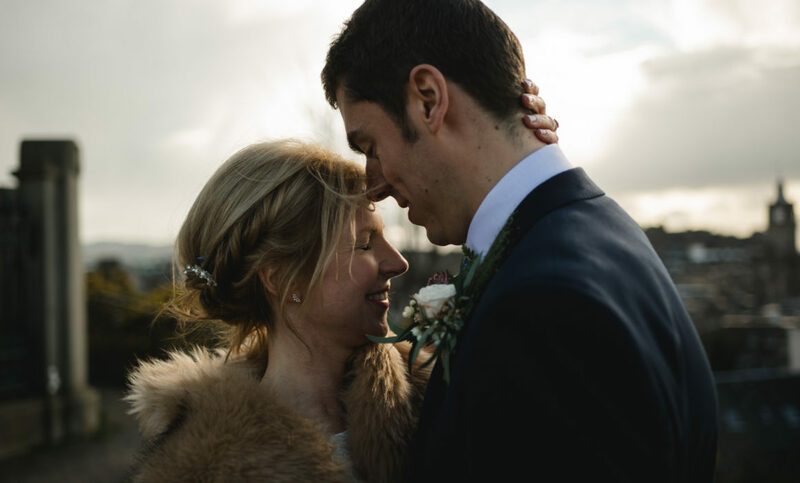 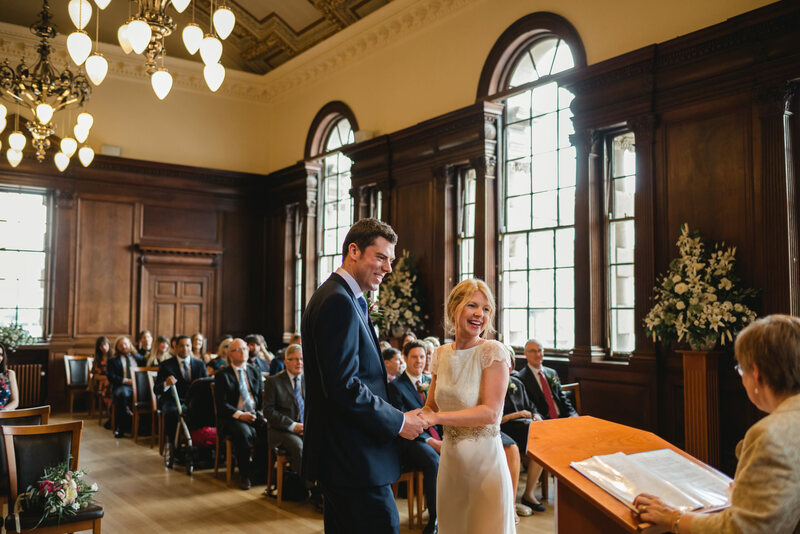 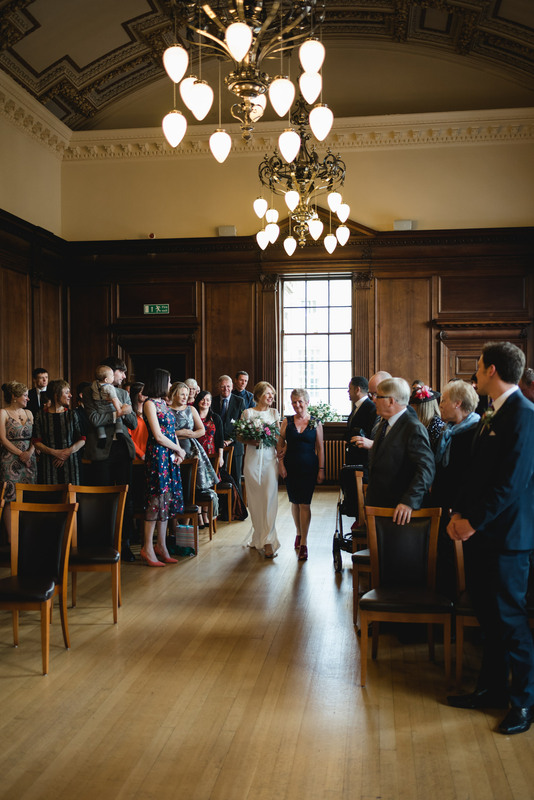 Hazel and Andrew had the last wedding at the registry office. 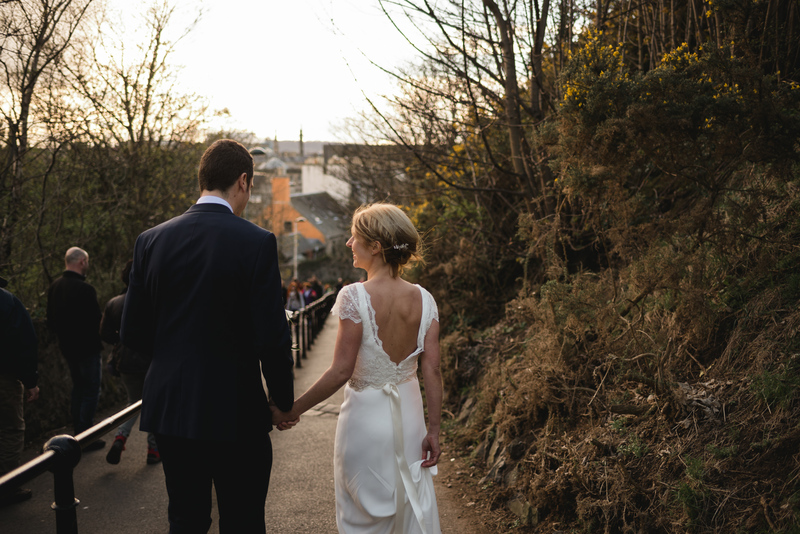 This meant that the sun was starting to go down when we left. 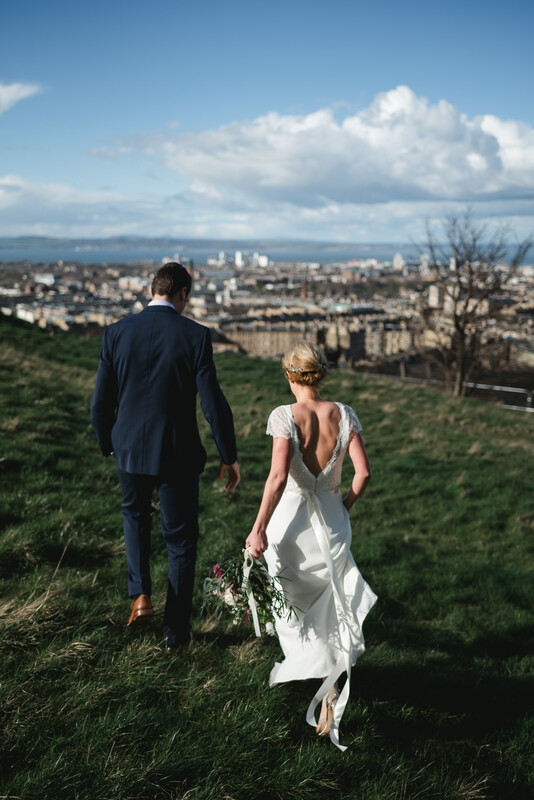 We planned to walk from the registry office up to Calton Hill. 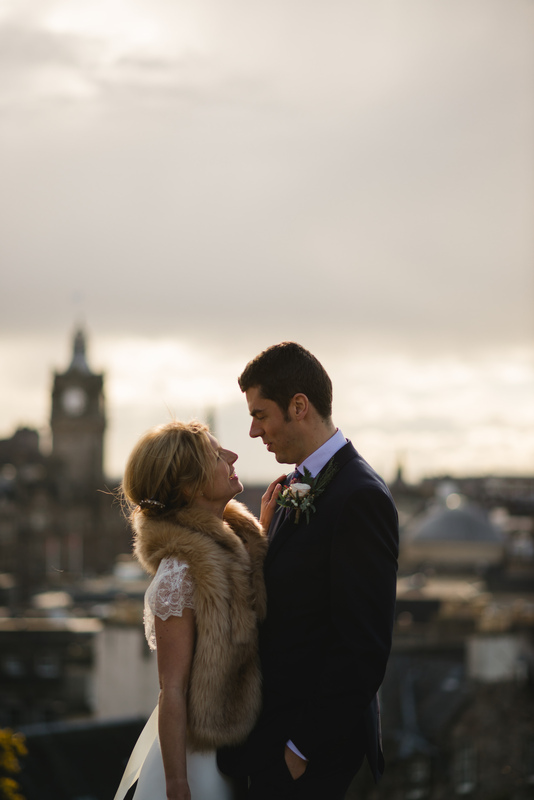 We arrived there just before 5pm and had some beautiful golden light to play with as well as the stunning Edinburgh city views. 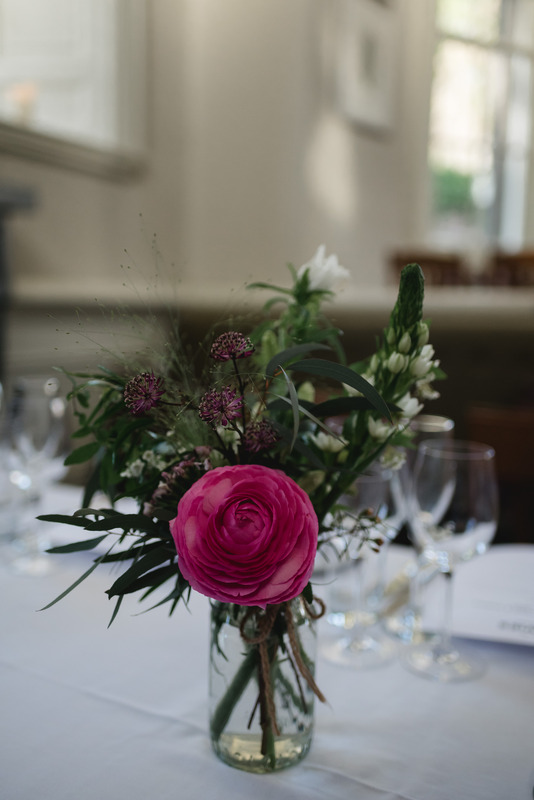 The wild flower bouquet and table settings were by the creative Rose & Ammi. 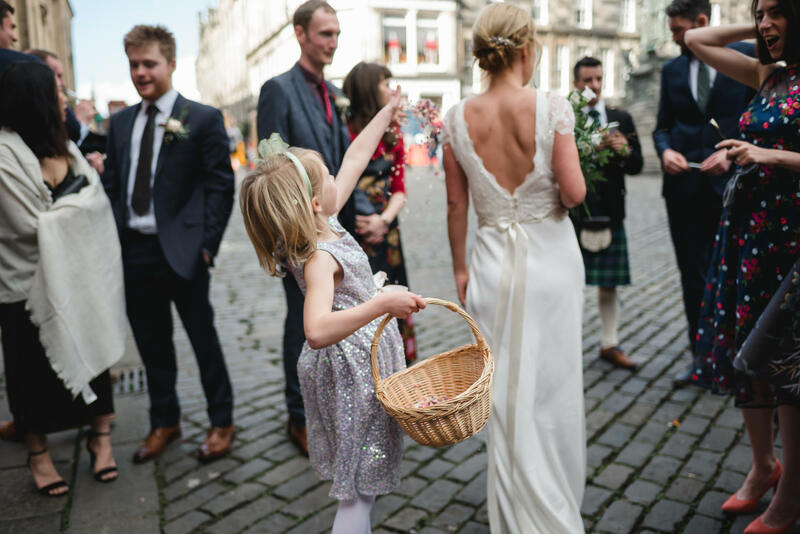 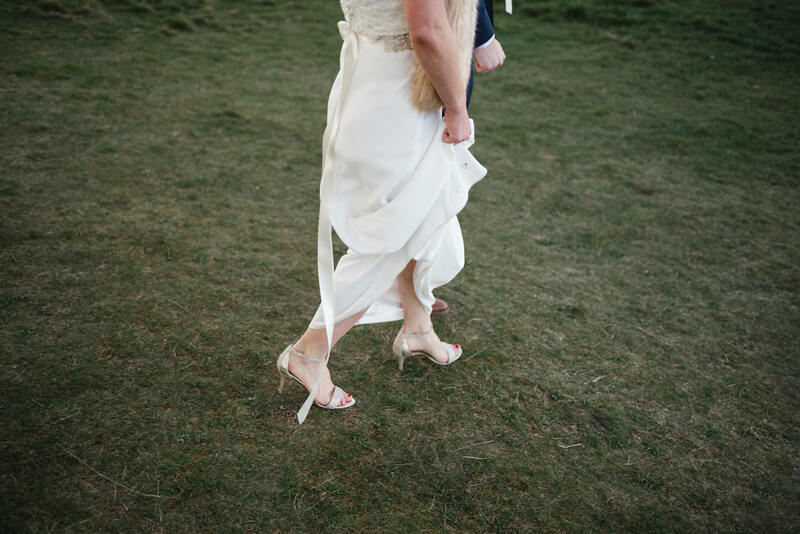 Hazel’s beautiful lace and silk dress is by the incredible Charlie Brear. 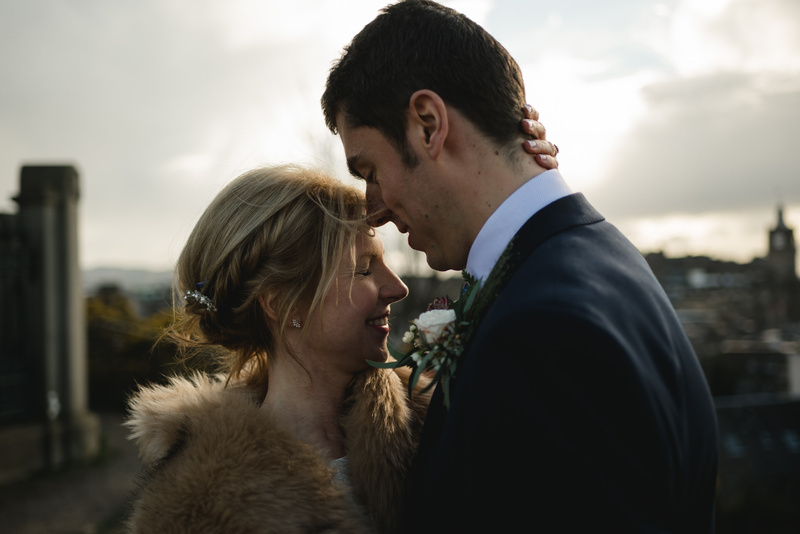 Great photos Hazel and Andrew!! 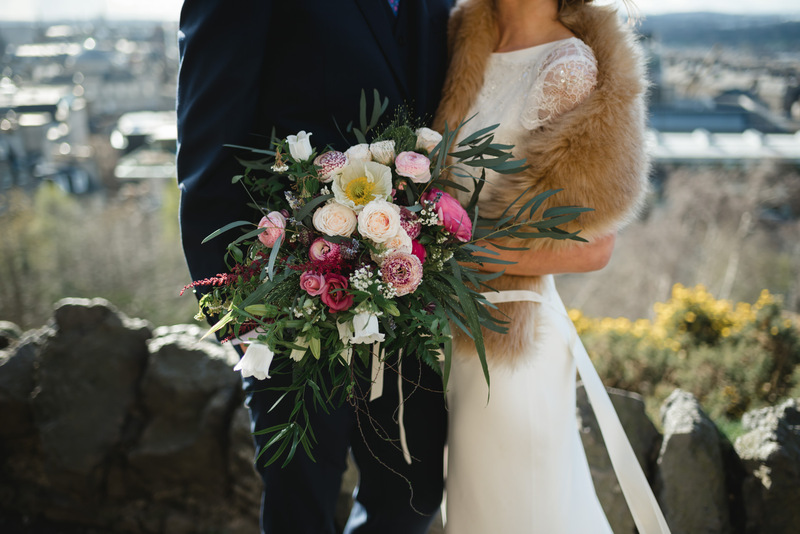 Beautiful memories of a fantastic day!